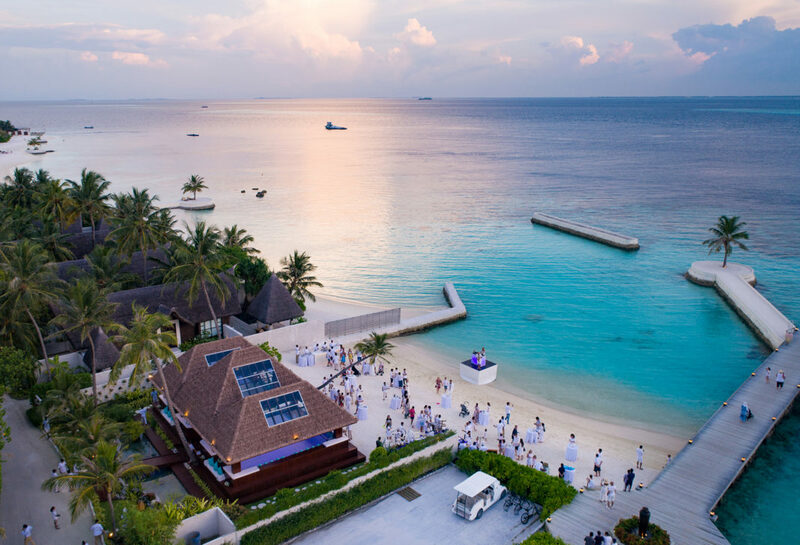 March 20, marked the one-year anniversary of the first ever ice rink to be built in the Maldives by Jumeirah Vittaveli. The event celebrating the anniversary of the rink named as Ice Ice Maybe, was held with lively music alongside piquant food and drinks in a laid-back atmosphere. The event was stirred with the entry of the Olympic gold Medalist Evgeni Plushenko along with his family who was the chief guest of the event. Mr Plushenko also gave an astonishing performance in the rink which left the crowd in awe. Following the impressive performance, the attendees of the event also got the chance to meet and chat with Mr Plushenko. 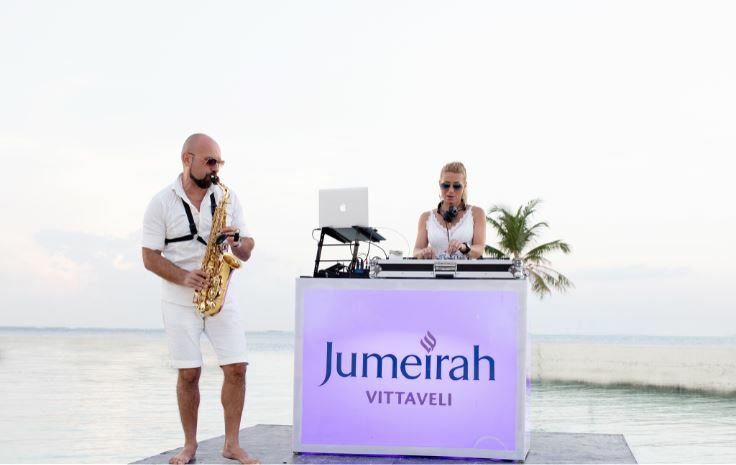 “I feel fantastic not only about the ice rink but I feel the same every time I visit the Maldives, especially Jumeirah. It is the best island resort. Because here you can skate, swim and just enjoy life. With the ice rink, the very first one in the Maldives, you can practice before dinner and then later skate with your kids or play ice hockey with your family even. So this is a fantastic idea that will attract more guests. 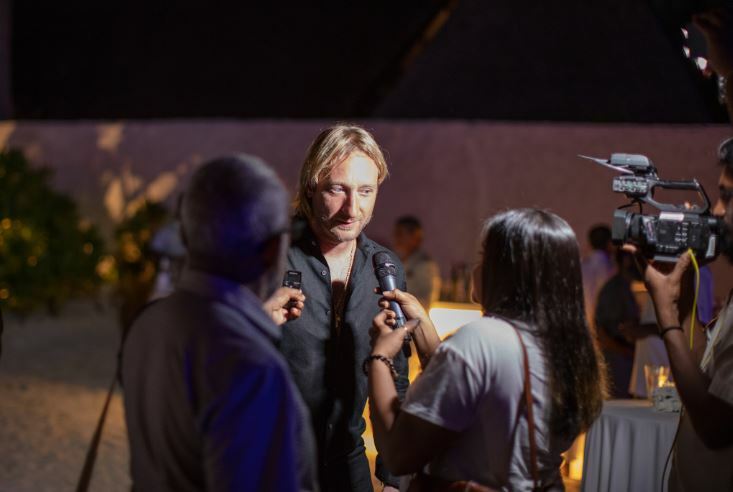 I hope in the future that there is going to be an even bigger ice rink where you can have grand performances so that even more guests will visit the country.” Mr Plushenko shared with Hotelier Maldives. To honor the anniversary of the Ice Ice Maybe’s first anniversary, Mr Plushenko donated his skating suit and boots which he wore in the Vancouver Winter Olympic Games, in 2010, to be on display at the rink. 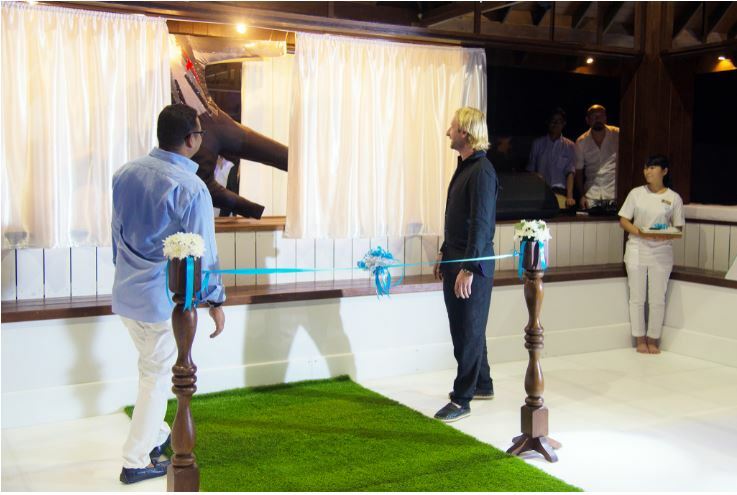 The opening of Ice Ice Maybe is marked as a revolutionary and significant event in the history of the hospitality industry in the Maldives. 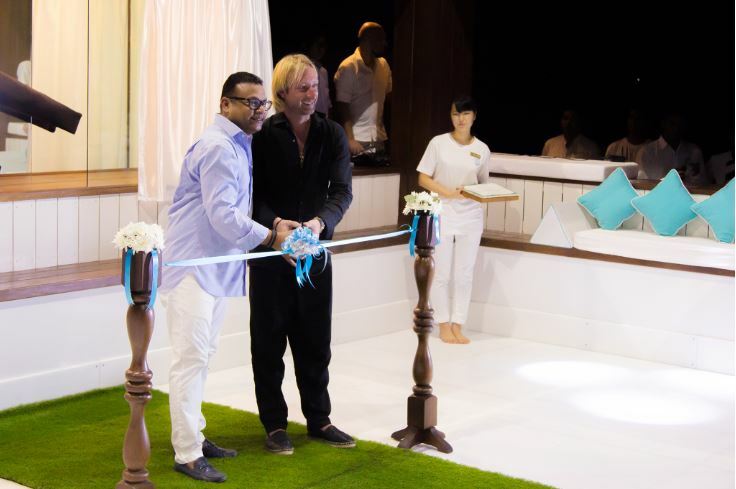 In fact, this maybe a first step towards a transformation of the Maldivian hospitality industry. Hence, attracting more demographics of tourists to Maldivian resorts which are renowned for their natural beauty and tranquility.